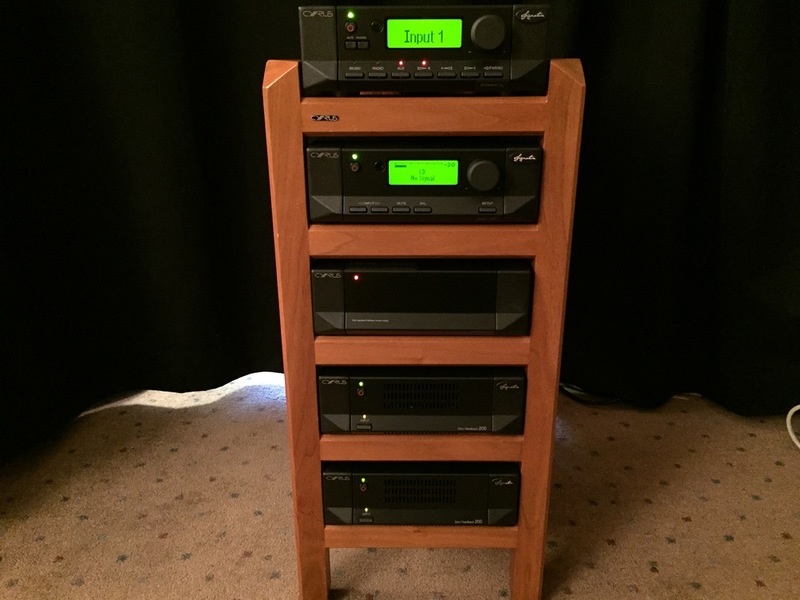 Stunning Cyrus Signature System at Southampton Audio T! Having been without Cyrus's premium range of Hi-Fi separates for a while we are delighted to rejoin the elite club of Cyrus Signature stockists. We have had our demo system for long enough now to run it in and have been blown away by the improvements in sound quality which Cyrus have engineered into their top flight products since our involvement with the previous range. From the top the first product is the Stream X Signature, Cyrus's top flight streamer source component. It's capable of the highest quality 24 bit/192 kHz audio files with the added advantage of over 100,000 internet radio stations being accessible via TuneIn. The Cadence app enables access to your entire music library via iOS or Android. The audio performance is superb, open, detailed and fully engaging. At £1249.95 it's something of an audiophile bargain. Next shelf down the Stream X Signature is digitally linked to a DAC XP Signature, audiophile DAC preamplifier. The 32 bit resolution DAC is separated fom the fully balanced preamp section, avoiding any noise interference or distortion and the end result of this attention to detail shines through in the authority and clarity of the sound. The DAC XP Signature is £2999.95. A fair price for the performance on offer especially as it is effectively two high end products in one. Below this and connected to the DAC XP Signature is a PSX-R2 power supply, the latest improved version of Cyrus's biggest selling product. It can enhance the performance of many Cyrus products, present and past. In this deployment it powers the filter stages of the DAC XP Signature maximising the isolation between DAC and preamp power supplies making a great product even better. Well worth the price of £745.00 in the context of this system. The lower two shelves house Mono X 200 signature power amplifiers. Cyrus's trademark distinctive and compact casework gives little clue to the amount of power these amplifiers are capable of, an astonishing 150W into 8 ohms, rising to 240W into 4 ohm loads. Distortion is virtually non-existent thanks to the Zero Feedback design. The smart cooling fans only function when listening at high level and automatically switch off during quiet passages to ensure your musical enjoyment isn't spoiled. For those needing, or wanting, even more power Mono X 300 Signatures are available at £2749.95 each, providing 225W into 8 ohms and 365W into 4. The Mono X 200 Signatures are £1949.95 each and have absolutely no trouble driving our current favourite speakers, the amazing PMC Twenty 26. In fact, this Cyrus system with the PMC speakers has stunned us with it's grip and authority and sheer musicality. Give us a call to come in for a listen. We're sure you'll be equally impressed! Incidentally, the Cyrus Tri-Arbour housing this system is for sale as an ex-demo bargain, reduced from £534.95 to £300.00. The buyer would need to collect from our store.